September is International Sewing MOnth and to celebrate, Sew Easy Sewing will join other independent sewing machine retailers throughout North America in offering customers to opportunity for a wide range of savings. 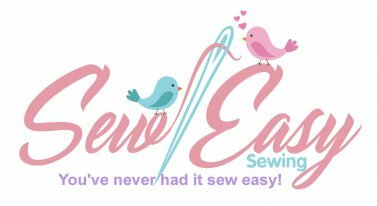 Sew Easy Sewing will provide customers with tremendous savings and service specials on a vast array of sewing machines, accessories, and supplies. As a member of the Sewing Dealers Trade Association (SDTA), Sew Easy Sewing is participating in an International Sewing Month prize giveaway. Thousands of dollars in prizes are generously provided by industry manufacturers and include sewing machines, furniture, lighting, threads, sewing tools, and more. The grand prize is a $600 gift certificate to be redeemed at the independent retail store where the winner registered. Simply stop by Sew Easy Sewing at 200 East College Blvd, Roswell, NM to register for the drawing. For more information, contact Krisann at 575.623.3774. Note: This is a partial list of prizes. More prizes are coming in daily, please check back often.